Our smoked Gigha Halibut is a new way to enjoy this wonderful fish, the quality of this new delicacy is second to none and starts with the selection of the fresh product. We will continue to consult the experts just so that we are sure we are offering the continuity of quality this exciting new product demands. Smoked to order your fish is carefully selected and harvested. It is allowed to rest and the fillets cured for a day, they are then traditionally smoked using oak chips made from whisky barrels from the Kilchoman Distillery on Islay. The Islay malt whiskies are known for their peaty aromas and bring the best out in Smoked Gigha Halibut. The combination of quality fresh halibut, whisky barrel smoke and the skill of our artisan smoker results in a truly amazing product, perfect for those landmark celebrations in life. It is an absolute delicacy and a real treat for your discerning guests. We smoke the halibut to order to ensure the product reaches you in the best possible condition, we therefore would advise you to order at least a week in advance of that very special occasion, so please don’t leave your orders to the last minute to avoid disappointment. Always get in touch and let us know what you would like to buy, we usually have some in stock and we will contact you to find the best delivery date for you. 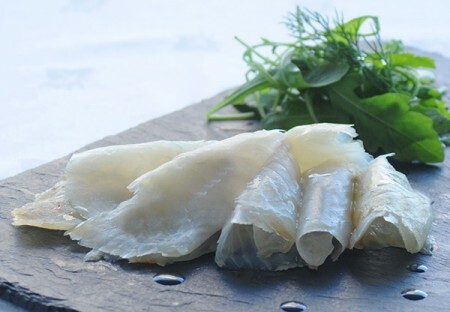 These choice portions of Smoked Gigha Halibut are available vacuum packed and delivered fresh to your door. Postage and packaging is £6.95 for all mainland UK orders. If you live outside the UK and would like to order Smoked Gigha Halibut please e-mail us with your contact details and we will get in touch with you to discuss your order.